﻿ Home - Garden Day Night Ornamental Misters. 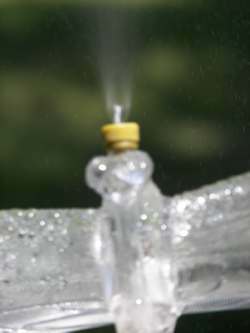 Sprink-L-ites™ Ornamental Misters are Cool making a beautiful misting system. 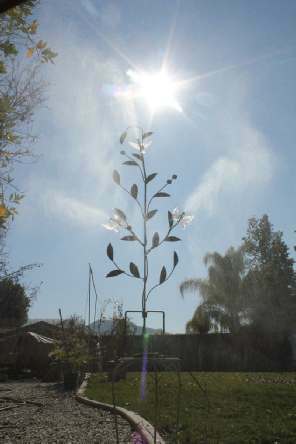 The Sprinkle lights were designed as an irrigation system so the available water distribution allowed for a natural progression to add the misting features, especially after moving from the Orange County area to the much dryer and warmer south Riverside county east of the Saddleback Mountains. Cooling the air makes a big difference out here. 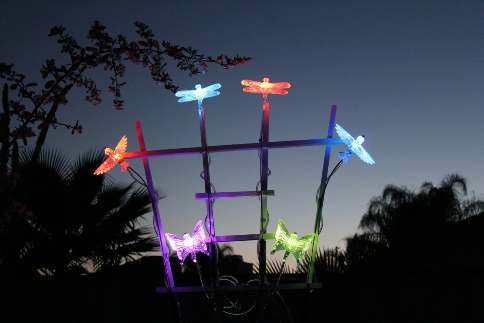 The lights look great when grouped together in clusters and they can be mounted to practically anything by using the slots for zip ties. 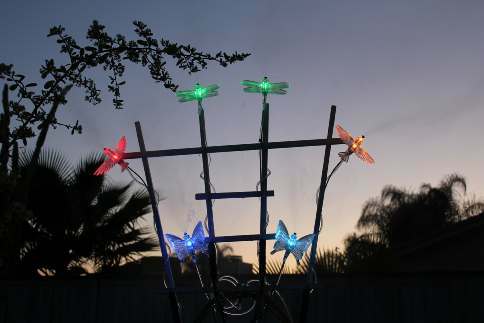 The simple fan trellis, available at most garden centers, makes a very nice support for the misting system and very mesmerizing color changing display at night. 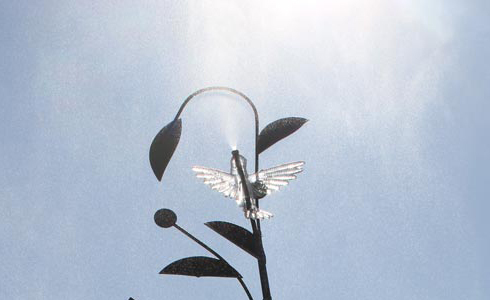 The six brass & steel mister nozzles are simply threaded into the end of the tubing threaded through the sculptures creating a very effective cooling tower that can be moved to different locations in the yard or patio. Any suitable structure can be a wonderful mister support. 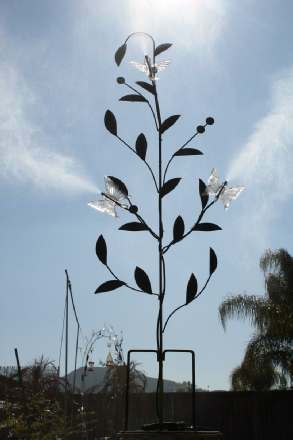 The metal bush 56” high can even be set on a table top. 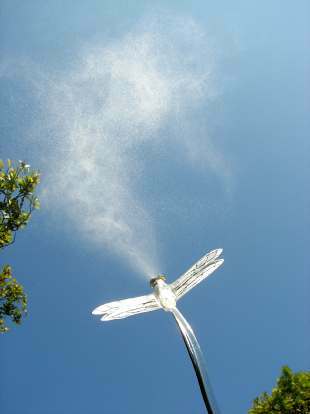 An umbrella pole would work quite well and the misters can be attached to the struts. The bendable portion of the support can stick out from the cover. Perfect for home and Garden Landscape lighting, Accent lighting around a pool, decorative patio lights, path lights or garden decorations adding misters increases functionality. 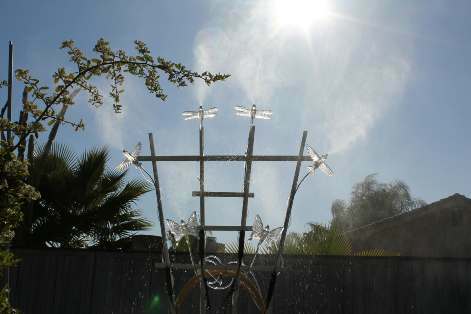 Not just beautiful lights but a wonderful misting system. Its cool!